This Ongoing War: A Blog: 09-Jul-15: When incitement to murder is financed by foreign aid, where will the accounting come from? 09-Jul-15: When incitement to murder is financed by foreign aid, where will the accounting come from? Our daughter Malki - graceful, pretty, smiley, a musical prodigy, a social activist on behalf of children with severe disabilities - will never reach her sixteenth birthday. 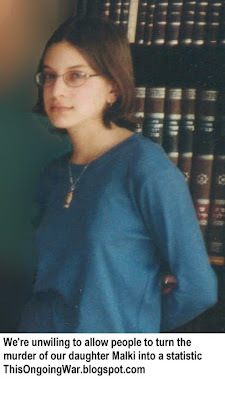 That privilege was stolen from her (and us) by a gang of Islamist men and women on August 9, 2001. A thunderous, sickening flash of explosives and thousands of flesh-ripping nails destroyed Jerusalem's Sbarro pizzeria and with it the bodies and lives of fifteen innocents, the majority of them children. Malki (whose photo is over there on the right of this page) was one of them. Her best friend, the girl who lived next door and was standing at the counter with her, was another. The explosive device was concealed inside a guitar case carried on the back of a man. He was a human bomb, brought to the center of our city - Israel's capital, Jerusalem - by the engineer of the massacre ["17-Nov-11: A monster walks the streets and she has many accomplices"]. He is of course dead, but the planner of the massacre is not. She hosts a TV program that is produced in Amman, Jordan, and since 2012 has gone to air on Fridays to an eager global audience of Arabic speakers. The man who constructed the diabolical guitar-case bomb, and several others similar to it, has haunted our thoughts through the years since we first learned of his monstrous savagery. 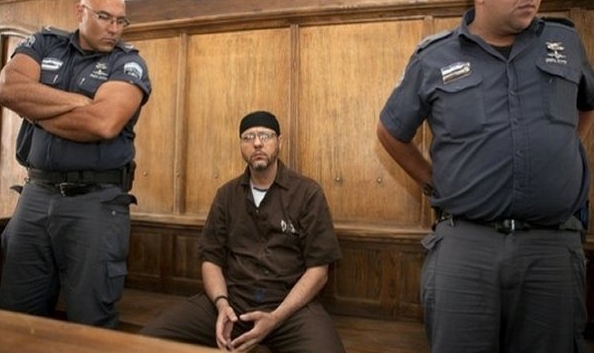 Abdullah Barghouti, a Kuwaiti with Jordanian citizenship, sits in an Israeli prison cell today, serving 67 life terms to which he was sentenced in a 2004 trial. What he did was horrifying. But hardly less horrifying are the reactions of wide parts of Arab society who stood solidly with the killers, rejoicing at the deaths. Major news services carried photos that day of macho men expressing their joy in Arab streets (like the one above). Children were provided with platters of candies to hand out in celebration of the massacre of Jewish youngsters. Having researched this, we know of not a single article in the Arab language published anywhere in the world that condemns the perpetrators and their act, or bemoans their corrosive impact on Arab and Moslem societies. If anyone among our readers can point us to even a single instance (an offer we have made numerous times already), we would showcase it here and let people know. We pointed out eight years ago ["10-Apr-07: Regarding Abdullah Barghouti"] that he pleaded guilty to all charges at his trial on 66 counts of terror-inspired murder. 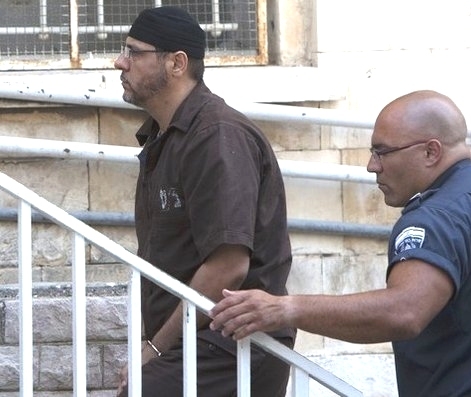 He told the court he "did this to kill as many Israelis as possible". 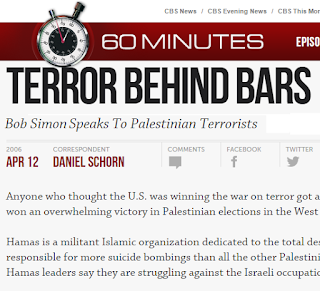 Reporter Bob Simon fronted a segment called Terror Behind Bars on the CBS "60 Minutes" television program in 2006 which did much to elevate Barghouti to celebrity-dom outside the Arab world (he was already a global Arab hero). We wrote an open letter at the time to his TV network, CBS, in New York (published here) expressing our deep pain and fierce anger in calm and fairly reasonable terms. CBS ignored us. There is no room for doubt about this: the massacre at Sbarro, along with the untold number of similar acts of murderous barbarism carried out against Israelis and Jews in the past decade and a half in the name of Palestinian Arab 'resistance' have had the widest support right across the Arab world. We offered some evidence here, referring to Barghouti: "1-Jul-13: 66 acts of murder make him a hero in parts of the Arab world. What does this tell us about parts of the Arab world?" We learned of another public display of this today. The self-styled 'independent' Palestinian Arab news network Ma'an broadcast a television program in June focused on Barghouti. Ma'an TV broadcasts its content live via the web [here] and by satellite throughout the Arabic-speaking world. The tone of this particular Ma'an show is plain from the text, rendered into English by Palestinian Media Watch. We feel no need to say anything to the father or to the host. They are what they are. The message they intend to convey via the interview is about as clear as messages get: Barghouti the son murdered dozens of Jews, and Barghouti the father says it's something noble to do the same, again, now. freed. The 66 murders? No big deal. 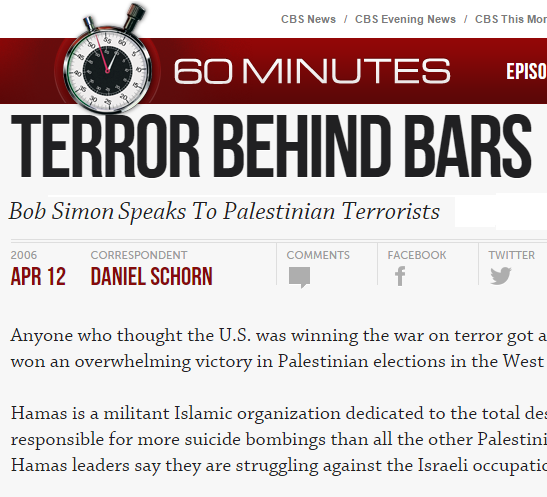 Incitement to murder, and glorification of the killer, rarely come much clearer than this. Do Danish, Dutch and other European tax-payers know that civil servants funded by them are passing along serious money, millions of Euros and of dollars, also funded by them, to encourage murder? For turning a confessed killer of 67 innocent people into a figure to emulate? 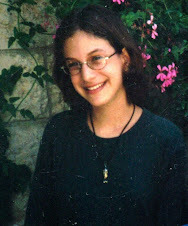 Do those civil servants and public officials have anything they would like us - the parents of a victim of the beastial killer at the heart of the interview above - to know about their complicity in Ma'an's incitement to ongoing and new acts of murder? Do they need to know our email address? Here it is. We're waiting.